We are Juan, Juan and Juan (not kidding!) A mix of Argentine travelers/musicians/amigos that opened on the road hostel for all you backpackers who prefer a smaller, more sociable hostel where you can feel at home and know all the staff and other guests by name. An awesome location right in the middle of Palermo Hollywood with literally hundreds (if not thousands) of restaurants, bars, cafes and clubs within easy walking distance. Loads of social space including a huge rooftop terrace where you can chat with other travellers or laze the day away on one of our big, comfy couches. We also host regular bbqs, music concerts and cultural events in this space. Rooftop bar with super cheap drinks and an even cheaper happy hour. Free breakfast including eggs, toast, oranges, jams, dulce de leche and freshly brewed coffee or tea. 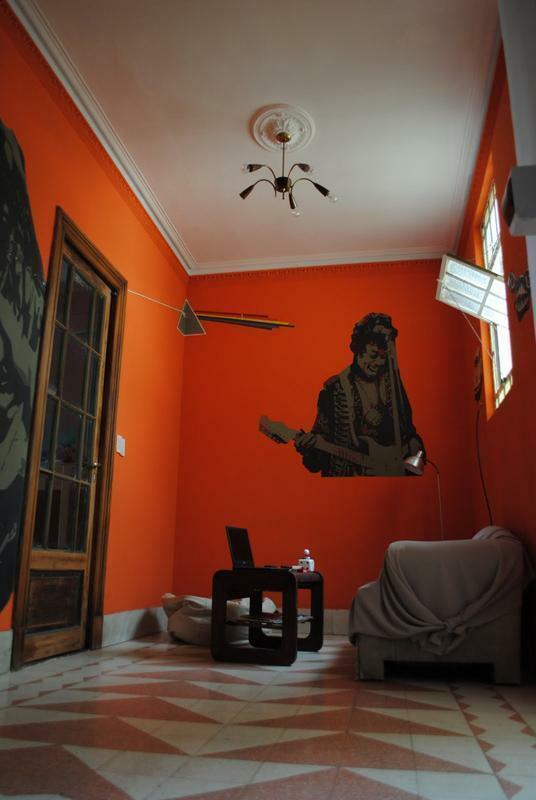 Our hostel is only 20 beds and is located in a beautiful old townhouse built in 1924 in a typical Palermo style, with spacious dorms, new mattresses and lockers. Fully stocked kitchen and lots of nice western touches such as air conditioning in rooms, flat screen tv, wifi, communal laptop etc. A great mix of local and backpacker staff who can recommend many things to see and do around the most dynamic city in South America. Between us we speak Spanish, English and German. We have 2 bathrooms but as we are only a small hostel the wait, if there is any is usually very short. The bathrooms are always kept exceptionally clean. We are not a party hostel, we do however keep a very social, relaxed atmosphere and have many great nightlife options very close to the hostel, we also host regular events on our rooftop terrace. Latest check in time: 10:00 p.m.
By Subway Walk to Retiro Subte station which is one block from the Bus Terminal. Go 3 stations to estacion Julio de 9 and change to the green Line D. Go towards Congresso de Tucuman, its 9 stops until Palermo Subte station. 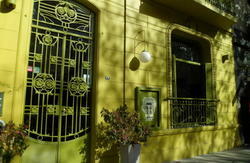 Walk 5 blocks down Avenida Juan B Justo until you reach Calle Nicaragua, turn right for 2 blocks then left on Fitz Roy. We are number 1983. Take a Taxi: Make sure you agree a price before you get in, typically the cost is around 210-250 pesos. Shuttle Bus Take the TiendaLeon shuttle bus which will drop you outside the bus terminal, this will take 50 minutes, the cost is between 80-100 pesos. From here follow the same instructions as arriving from Bus (above). Take Bus 160 or 37 to the corner of Avenida Santa Fe and Avenida Juan B Justo. You can ask the bus driver necesito bajar en Santa Fe y Juan B Justo, puede avisarme por favor? From here walk 5 blocks down Avenida Juan B Justo until you reach Calle Nicaragua, turn right for 2 blocks then left on Fitz Roy. We are number 1983.